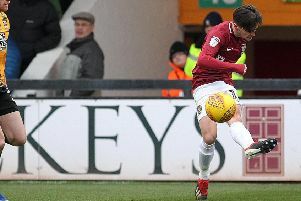 When Erhun Oztumer pounced on a calamitous defensive mix-up to steer Walsall ahead just 90 seconds into Saturday’s contest against the Cobblers, the sense of dread that went around most of Sixfields was palpable. It was very much a ‘here we go again’ feeling. Only last week, Jack Byrne’s goal after just four minutes set Oldham Athletic on their way to a crushing 5-1 victory as Northampton failed to recover from going behind, something which they have not done all season. So you could forgive most of those inside Sixfields for fearing the worst when their team fell behind in such disastrous fashion as Aaron Pierre dithered and David Cornell hesitated to allow Amadou Bakayoko to rob the ball back and square for Oztumer who duly found the bottom corner. You feared it had almost become routine for Northampton this season: another week, another early setback and another disappointing yet depressingly inevitable slide towards defeat. But this time, finally, it would be different. Manager Jimmy Floyd Hasselbaink got the crowd going, the fans responded and the players rallied. It was tense and it was far from straightforward but the Cobblers ended their winless run with three oh-so priceless points. This 2-1 victory, packed full of guts and grit, will not win any beauty contests but given the situation Northampton found themselves in at the bottom of League One – and still do – style does not matter; it’s all about getting the right result any which way you can. And make no bones about it: this was as close to a must-win game as you can get in December. Sure, it’s not even Christmas and there’s ample time left in the season but the demanding fixture list over the festive period, coupled with the resurgent form of relegation rivals, meant Town could ill-afford to get cut adrift ahead of the January transfer window. And the value of three points in a relegation battle was clear at full-time as Hasselbaink’s men not only kept pace with those around them but also manoeuvred themselves out of the bottom four, a timely boost ahead of the visit of red-hot Blackburn Rovers next weekend. But as Saturday proved, the form book counts for little on the day. Walsall went into the contest on a three-game winning run while Town, on the back of their humbling defeat at Boundary Park, had not tasted victory in six. Jon Whitney’s men would have been even stronger favourites for three points after Oztumer’s early blow, however Chris Long’s first-half brace gave Northampton the victory they deserved for a fantastic, gritty team performance. The Saddlers probed and pushed for most of the second-half but made very little headway and even fewer inroads against a home team who showed refreshing fight and bite all over the pitch, with Cornell almost a bystander in goal following his early brain fade. That’s the thing about this team. Although they struggle to score goals and too regularly fall by the wayside once on the back foot, on the rare occasions they do get ahead, they’re very difficult to break down and therefore peg back. Town didn’t exactly outplay the Saddlers on Saturday, nor where they ever going to given the two teams’ respective positions, but from the moment Long headed in the leveller and then sweetly pinged them ahead, their game management and dogged approach kept Walsall at arm’s-length. The visitors’ chances mostly came in the first-half, however after Oztumer was gifted an early Christmas present, not once did they create a clear sight of Cornell’s goal. And, finally, at long, long last, the Cobblers came from behind to win a game. Not since Stevenage away in the title-winning season, some 92 fixtures ago, have they conceded the first goal and taken all three points. There may have been a sense of trepidation when Oztumer found the bottom corner inside two minutes – understandably so too – but this time Northampton showed the type of character and belief that they will need to stay out of the relegation zone. Their hopes of doing that also rely on the fitness of one key player. It’s amazing how much difference one man can make to a team. John-Joe O’Toole did nothing out of the ordinary on Saturday but his general attitude and approach gave the Cobblers a whole new dimension. All you need to do is take one quick glance at the statistics to realise how important he has become. The Cobblers have won four of the five league matches in which he has started this term, with the team scoring seven goals in those outings, compared to two wins and 11 goals from the other 17 games. How can one man have such an affect? It’s his style of play. O’Toole provides a focal point from which his team-mates can play off. He’s willing to get into the faces of opposition players and that gives defenders headaches. He also wins headers and flick-ons and always plays on the edge, which in turn means Northampton can play higher up the pitch and get bodies around him. Striker Long, so often an isolated figure up front, is the main beneficiary because he becomes more involved and sees more of the ball; he knows O’Toole will attract defenders and therefore that create space for the Burnely loanee to run into, as he did against Walsall. But Long and O’Toole were not the only star performers on Saturday. Matt Grimes gave the type of midfield performance that demonstrated why he is so highly-rated. Dogged off the ball and classy on it, he was here, there and everywhere in running the midfield almost highhandedly. 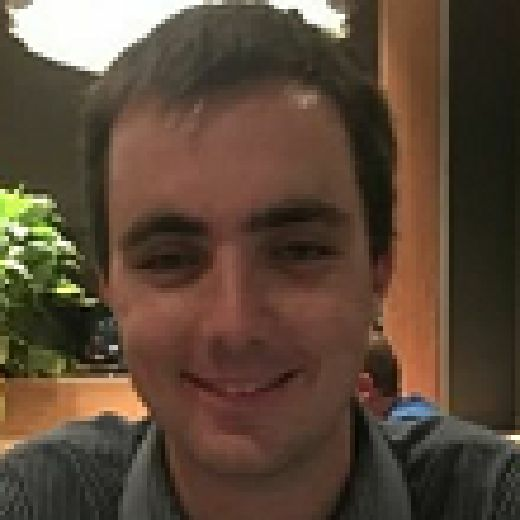 In defence, Ash Taylor was his usual steady self and Pierre recovered impressively from his shaky start to emerge from the game with credit. Full-backs Brendan Moloney and David Buchanan kept Walsall’s tricky wingers relatively quiet while also getting forward and providing width, something that the two wide men, both more central players by trade, did not always do. There was a feisty element to Saturday’s game too and it all boiled over in injury-time when Bakayoko deservedly saw red for a horror challenge on Foley, with Town’s Matt Crooks also given his marching orders for his part in the ugly aftermath. But that did not take the gloss of a monumental victory. It was a game Northampton simply had to win. With more fighting displays like this one, and with a few new arrivals in January, they’ll give themselves every chance of staying up.